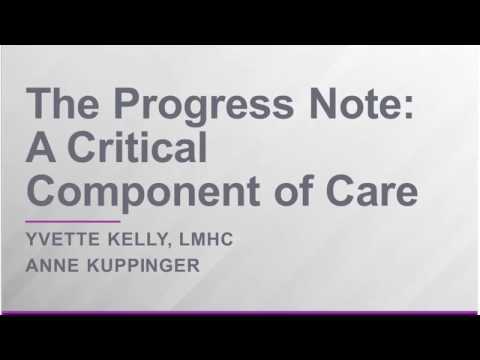 This webinar covered the importance of utilizing the progress note as a way to document quality care. The progress note is a critical component connecting the provider’s work in treatment with established treatment goals. This webinar focused on how to document aspects of an individual’s treatment in a way that supports the delivery and continuity of needed services.